I’m a firm believer in the saying ‘beauty is in the eye of the beholder’. I think everyone’s definition of beauty is different. But, to me, good skin is definitely a very important aspect of beauty. I always ensure that I have my lip gloss, a kajal pencil, perfume, a bright red lipstick (you never know when the occasion calls for bright lips!) and a tiny tub of Vaseline. Sporting a fringe for one of my early movie roles makes me smile right now. It completely depends on the look I am going for. I prefer smoky eyes and loads of mascara to add volume. But, generally, I keep it minimal, so I either create some drama by highlighting my eyes or I’ll go for bold lips. I swear by the advice I received from my mother — drink lots of water, exercise regularly and always have a positive attitude. When I get the time, I love going on long walks. They instantly lift my spirits. A good night’s sleep is my go-to beauty ritual, it refreshes me! It always puts me in a good mood and gives me the energy to get a lot more done. Anything that is not very strong or synthetic. 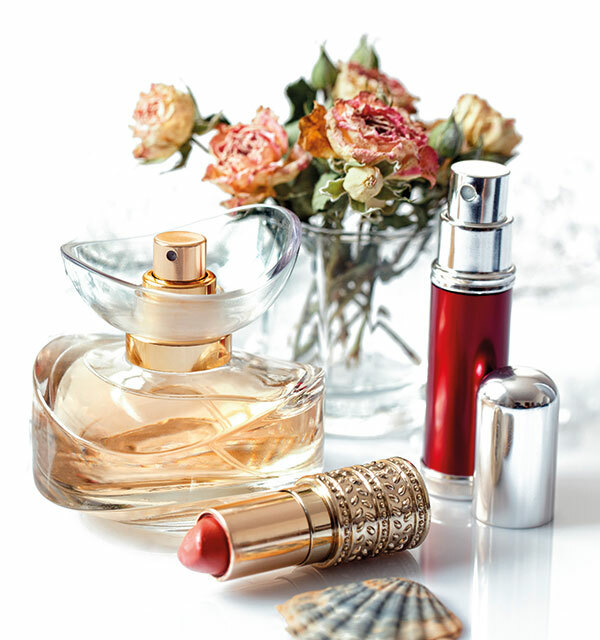 I always prefer fragrances that are natural or woody, with traces of sandalwood or rose or musk. I have sensitive skin so I’m not one for facials or chemical body scrubs. I prefer making my own body scrub. I use sea salt and Vaseline as a pre-bath exfoliator. It works especially well to take care of tanned skin and dark patches on your elbows and knees. Vaseline! My sister and I have grown up using it. Be it cuts or burns, we would use it as a lip balm, foot cream, make-up remover or a moisturiser. It’s such a surreal moment for me because I’ve grown up using this product and today I am the face of the brand. Life surprises you in so many ways…. London and Rome. In Rome, there are these stores that customise your fragrance for you. London gives me access to some really niche brands that are exclusive to this city. But for make-up I always shop in the USA; they have every brand and make-up invention under the sun.